Vehicle owners in UK must display the tax disc on their vehicles and therefore, it is imperative for each vehicle owner to have a tax disc. While new vehicle owners must get a new tax disc, the ones that are already displaying a tax disc must get their discs renewed, in case the registration is nearing its expiry. Vehicle owners can renew their tax discs by phone, through the post office or through the internet. While renewing a tax disc by phone is very easy, it is essential that the owner has the reference number and other documents ready at the time of renewal by phone. Renewing of the tax disc is also possible through the post office. However, the task becomes tedious as the vehicle owner would have to take a leave from office and stand in queues to get the renewal disc. In addition, the owner must carry all the necessary documents required for the purpose. 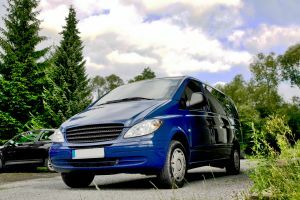 These documents include a valid MOT certificate, car insurance document and proof of being a registered keeper of the vehicle, the 16-digit reference number and the number plate of the vehicle. On the contrary, the best way to renew the tax disc is through the internet. There is no need to carry any documents as the checking of the car details is done automatically once the number plate and the reference number are entered at the DVLA’s car renewal website. The process is also beneficial in the sense that vehicle owners can renew their tax discs from the comfort of their home or office at any convenient time. Getting the renewal of the tax disc online is also beneficial if one is abroad and is suddenly reminded of the tax disc renewal. The online application for renewal does away with lengthy phone calls, long queues at the post office with the necessary documents and waiting for a convenient time. The online renewal of tax disc is safe and secure and can be pursued any time of the day.